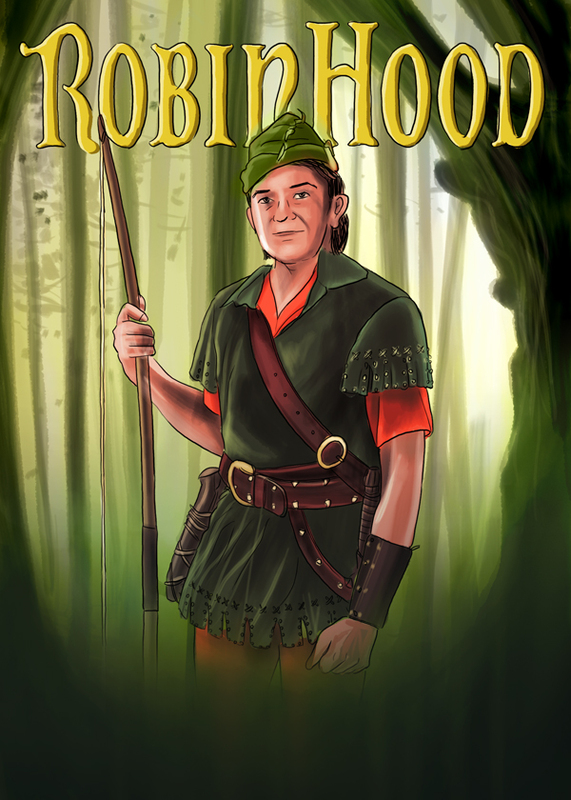 As mentioned a few days ago i have been commissioned to do the poster for Robin Hood the musical which is going into production at the mo and will be touring the UK later in the year. 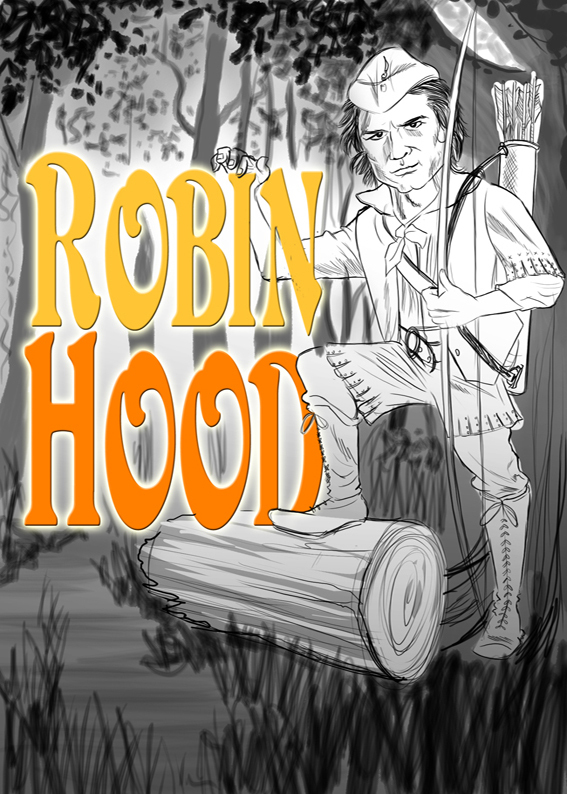 The brief was to design the poster to be vibrant and colourful, with Robin complete with bow and arrow standing in Sherwood forest. Here are a couple of rough designs ive come up with, the text font is from Disneys Robin Hood so will be different in style and the space at the bottom is for production cast and info etc. 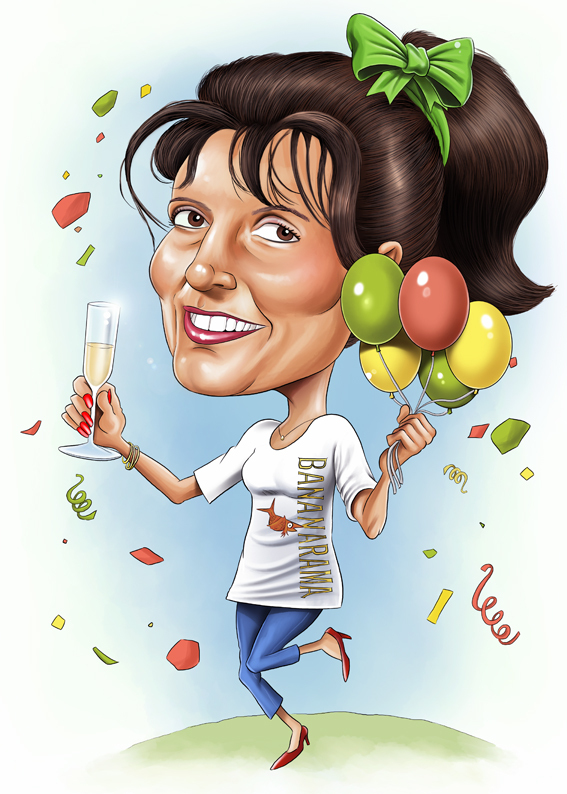 Here is the final artwork for a commissioned caricature of Amanda. 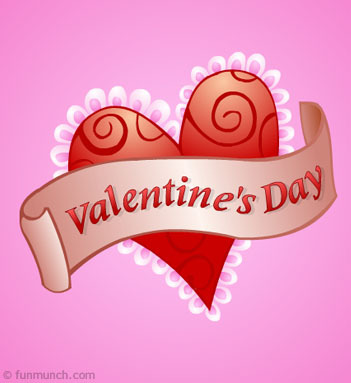 The theme of her 40th birthday party is going to be 80’s and based around the colours lime green, peach and lemon yellow so have incorporated those into the colours of the balloons and confetti. 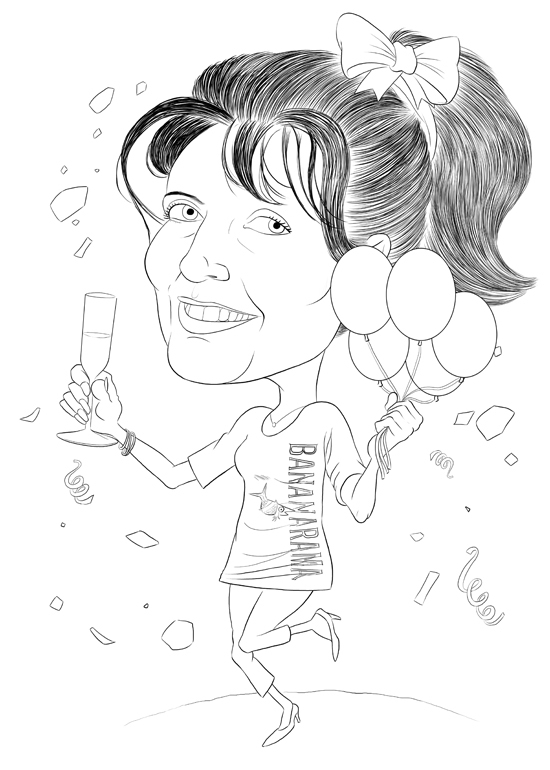 Starting on a birthday caricature for Amanda, (40th birthday infact) and she was wanting me to do her in 80’s gear, scarf in a bow and bananarama t-shirt and basically have a fun vibe to it so she could use it for invitations etc. 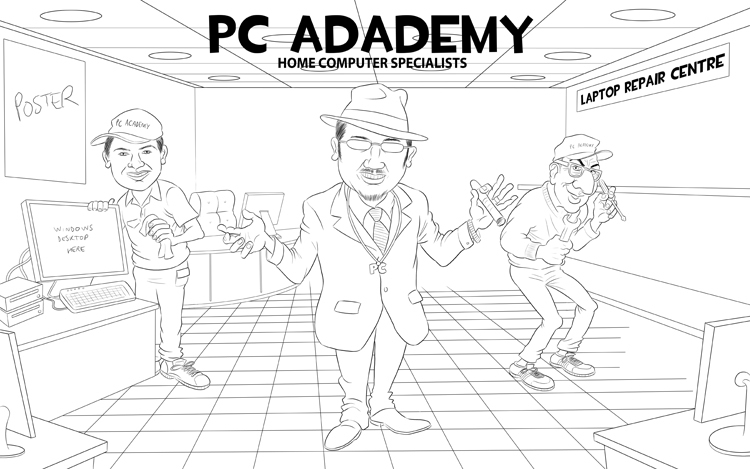 Here is the rough design. It’s going to be a busy week for me as i’ve also been commissioned to do the poster for the new Robin Hood musical which at this moment is being cast and going into production and should be touring the UK at the end of the year. 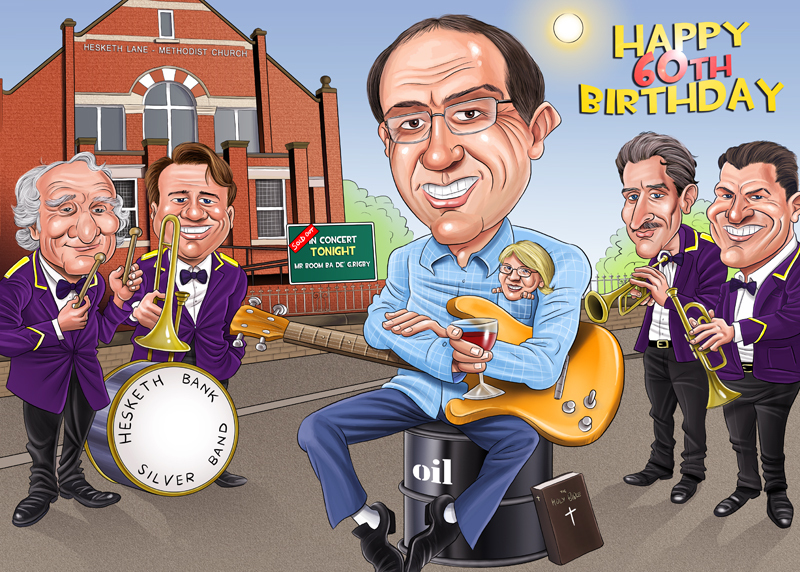 Will post further details when i’ve finished this birthday caricature…….p.s can’t believe its still snowing outside….RIDICULOUS!!!! 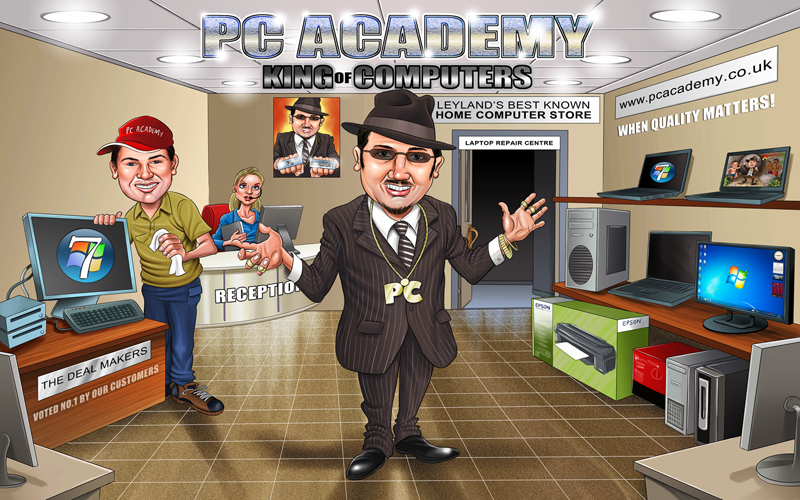 (edit)…Just realised i’ve put PC Adademy instead of PC Academy on the top text… old age setting in!